Whatever industry you are in, a business professional knows trade shows. Yet whatever role you play–attendee, educator, exhibitor, sponsor–you should know marketing at trade shows is changing. Exhibit booths and showroom floors are going high tech. One of the defining features of booths will be autonomous robots who are able to handle menial tasks like handing out literature, collecting information from a potential customer, and giving out promotional items like branded pens. The machine will also be able to keep accurate statistics on the number of brochures or catalog handed out to potential customers. Autonomous robots will enhance a trade show by taking away repetitive tasks that are conducted by individuals posted near and around the booth. Robots will revolutionize trade shows. My 25 years of trade show experience and exhibition marketing can see the dawn of robotics as a tool. We’ll be seeing more and more robots at trade show booths greeting people, handing brochures, and passing out promotional items. All of this will free up men and women to do what trade shows are really for–networking and building business connections. One of the cornerstones of trade shows is collecting opinion surveys from customers which is more efficient than ever before as businesses have deployed iPads and touch screen devices to collect opinions from potential customers. The surveys are quickly processed and sorted into graphs with very little effort saving businesses money and freeing up resources. In the past, the survey was a paper and pencil job, which a person completed by asking the potential customer questions. The task isn’t to get rid of people from trade shows, but to make our jobs more interesting. I don’t think any person enjoys standing for hours at the corner of their booth to hand out brochure to everyone that passes by. I for one embrace the robotic advancement, so I can move on to what I and IGM Creative do best. IGM Creative Group provides advertising solutions, marketing strategy, and web development for Fortune 500, mid-market, and small businesses. For nearly a decade, we have been assisting mid-size businesses in NJ with marketing strategy, web development, and advertising. It’s what we do best. Advertising, marketing strategy, and web development are not just our business. It’s our culture!  We are a full-service cross-media marketing and advertising agency.